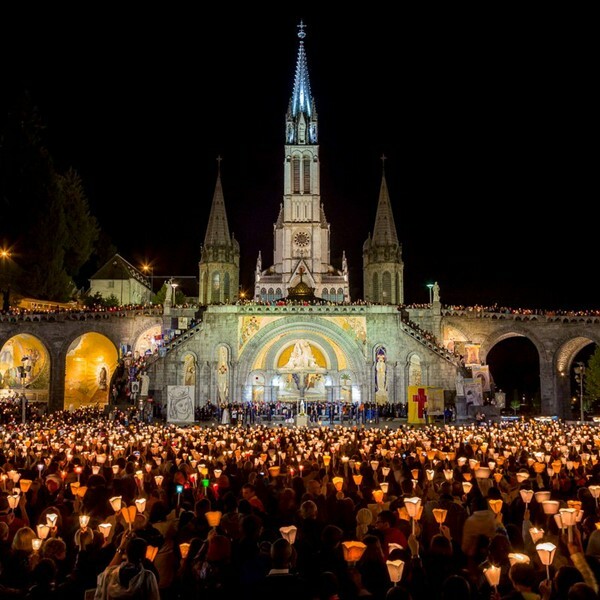 A 5 day Pilgrimage to Lourdes by air from Stansted direct in to Lourdes airport. 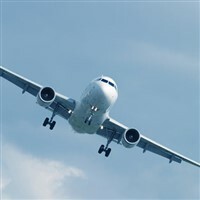 Return flights from Stansted - Lourdes. Airport passenger duty and city taxes. £590 per person sharing twin/triple room. £700 per person in a single room. Depart Stansted at 1.30pm for the flight to Lourdes. On arrival transfer to the Hotel for 4 nighst stay on full board basis starting with dinner this evening. This morning you are invited to join us on a walking tour of Lourdes, taking in many of the places associated with St Bernadette. 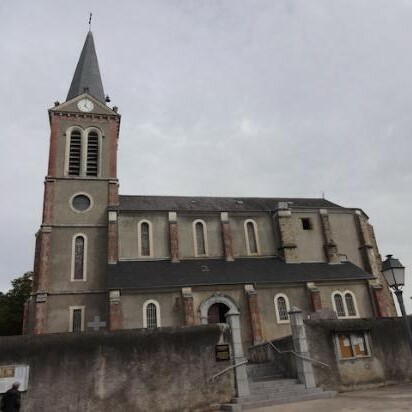 After lunch why not join us on our included afternoon excursion to Bartres where St Bernadette spent part of her early life. After dinner we will walk in the Torchlight Procession. After Mass we will meet at the Crowned Virgin Statue for the group photograph. After lunch free time to visit the baths or private devotions before the Blessed Sacrament Procession takes place at 5.00pm. After dinner you may wish to walk in the Torchlight Procession. Free day in Lourdes for shopping sightseeing and private devotions. 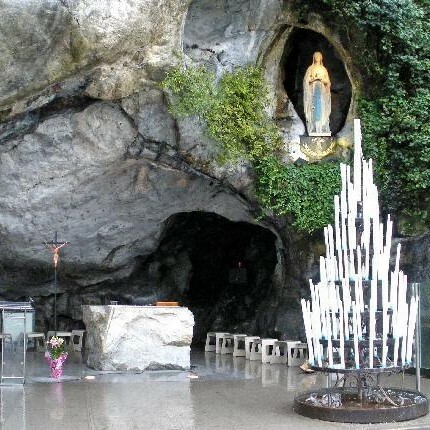 Our hotels in Lourdes for this Pilgrimage vary from date to date, so please contcat us with your chosen departure date and we will confirm which hotel has been allocated. All overnight hotels will be of a minimum 3* standard, all rooms will be en-suite throughout the Pilgrimage.